I recently built a site for a friend (The excellent photographer Stewart Smith). 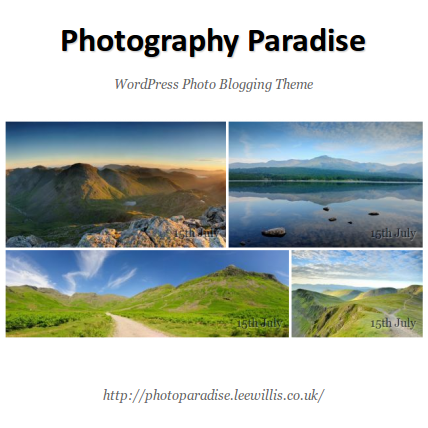 The site uses a rather heavily customised version of WP e-Commerce for the e-Commerce aspects, but I’m also releasing the core WordPress photo blogging theme as a stand-alone release as I think the approach is pretty different from most of the photo blog themes out there. I’m pretty happy with the theme in action on Stewart’s site, but I realise that people do strange and interesting things on their WordPress sites, so before I release the theme, I’m looking for people to test and provide feedback.